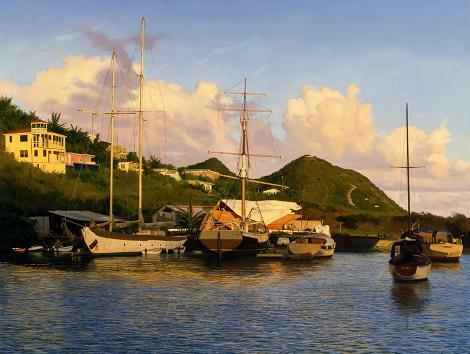 William B. Hoyt is a realistic artist who loves to paint boats and seascape oil paintings. He was born in Connecticut in 1945. His mother studied art course from Yale art school and she became a portraitist. She inspired him in his childhood days to step into the world of painting. His father was a lover of sea and boats. 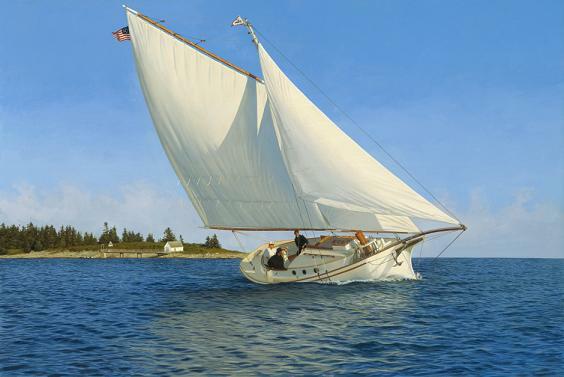 William’s family gradually became a sailing and traveling family. After his studies, he joined Navy and painted several navy and fleet paintings during that period. His paintings are amazingly detailed and are the best examples of realism. His choice of beauty and love for nature is evident from his works. 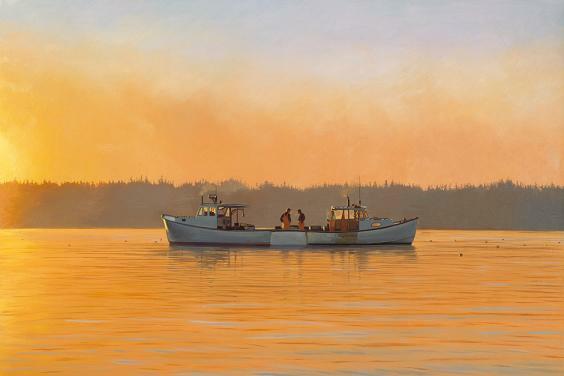 The rich colors he use to paint evening sunset and harbor scenes are really appealing. 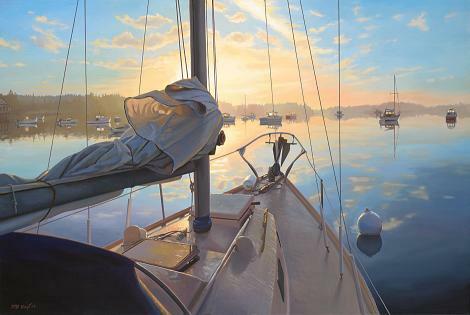 His love for sailing inspired him to paint beautiful seascapes ! 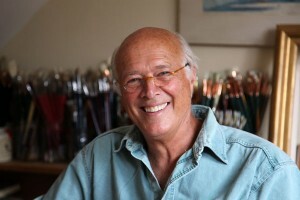 He loves to paint interiors, farms and rural areas of England. Each painting demands lot of skill and time. 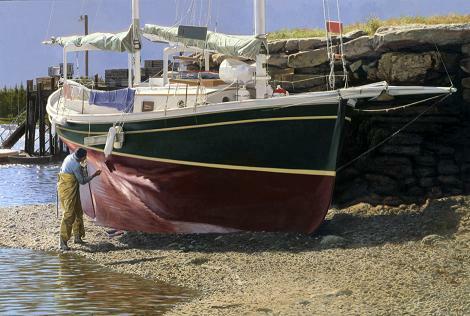 I hope you are amazed at “how to paint boats” so realistically with oil paint. 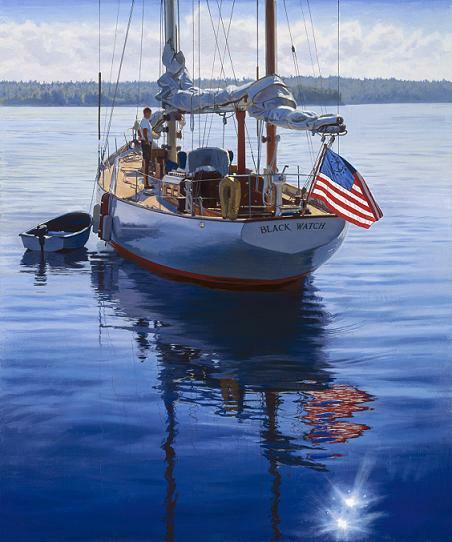 Here I have selected some of his popular sailboat oil paintings and shipping boat paintings to inspire my readers.